Maldives. There is probably no other destination which is that linked with the words “paradise” or “honeymoon”. The Maldives are a pretty unique destination, that I got to enjoy last year during my trip around the world for the first time. 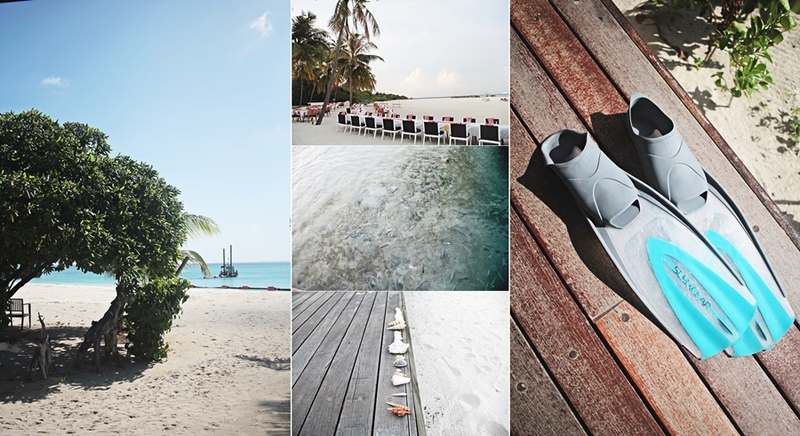 This year, just a few days ago, I had the pleasure to explore the Noku Maldives resort for a press trip, which I am excited to share my impressions of..
Everything started Monday morning at the Berlin airport with a bright smile and a suitcase full of clothes to be worn on the island of my dreams. My fascination for the Maldives started already a few years ago and it was more of a coincidence, that I got to enjoy a trip to this so called “paradise” last year. 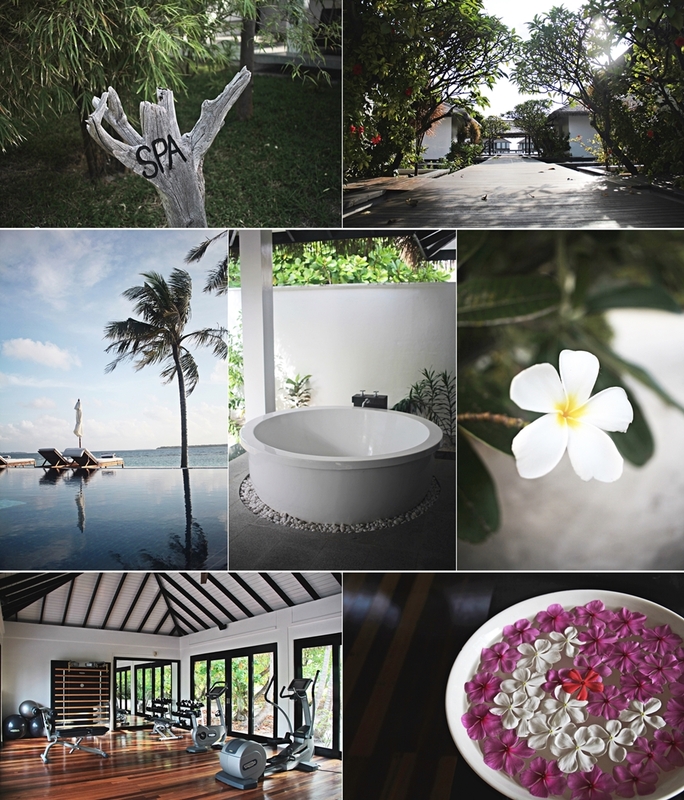 When Noku Maldives asked me to visit the resort for 3 nights, I felt like a little child on Christmas. Coming back to the Maldives was clearly scheduled but I wasn´t aware it would be that fast. 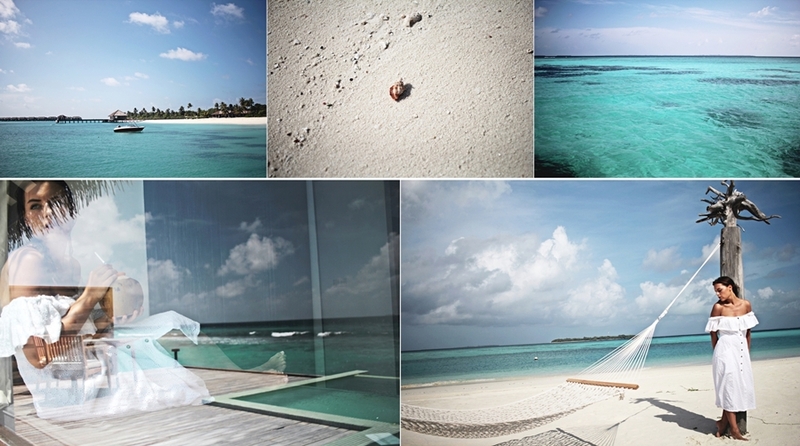 While Maldives is mostly known for couples and holidays, I´d consider it as a destination for everyone. The tropical weather is pretty inviting and with a total of more than 1190 island one won´t be bored at anytime. 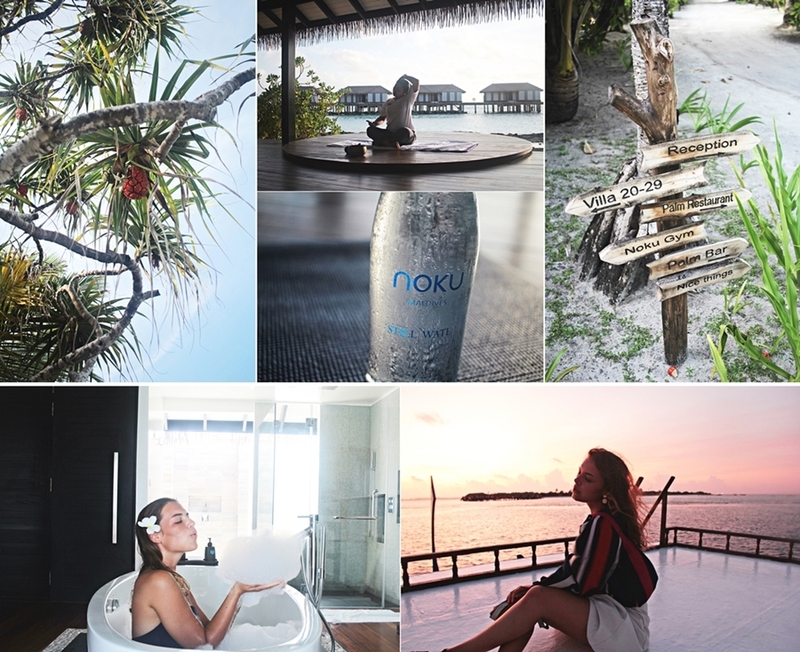 As it happened that I found myself teaming up with Noku hotels again, after a successful partnership in Kyoto and Singapore, I want to share my impressions of the resort with you guys – especially what makes it so different from the other resorts which I visited previously in Maldives. After my departure from Berlin I had one stop, before arriving at Malé airport. At the airport I was welcomed by one of the Noku staff members, who guided me to the bus which brought me to terminal B of the transmale departure gate, where I entered a flight with the seaplane and arrived at the resort, where the general manger Justin and the Noku staff welcomed me and guided me to my villa. 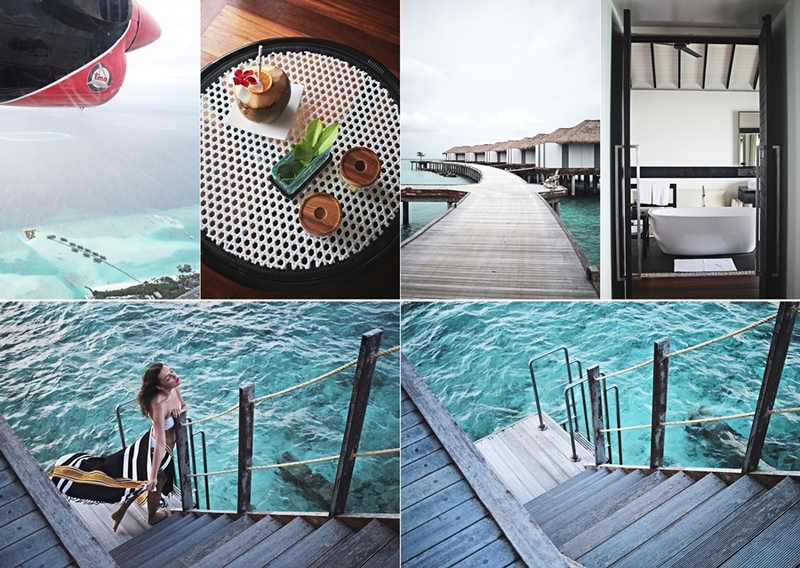 It was the first time for me to stay in one of the water villas and it was a dream to come true. One of the many specials of a water villa is direct access to the ocean, which is amazing for snorkeling at any time. Moreover I was enjoying the sun while relaxing on the terrace or dipping in the infinity pool. Nothing beats a personalized welcome. Weather it´s a letter or just a flower arrangement, as a guest one will feel a difference if the staff really cares about you. At Noku I had a letter, flowers and a fresh coconut. Whoever follows me on my social accounts knows best, that I´m obsessed with coconuts. It was such a great and warm welcome and truly something special. The individualized touch is most important to me when staying at a hotel. A trip to the Maldives is expensive and one wants it to be a memory to last forever. With the dedicated service and the calming surrounding and privacy within the resort one will experience a unique service which is priceless. After a quick refreshment in the bathroom, I was ready to head to the palms bar, where I has a welcome drink with the rest of the media team, accompanied by dinner, which is served in a buffet style at the palms restaurant, just next to the bar. While most of the guest do eat meat, the buffet options for vegans and vegetarians might be limited, however the staff and chef is most delighted to prepare dishes or follows one´s wishes. Moreover, the resort has a second restaurant, which serves á la carte. All food at Noku is freshly prepared, with live cooking stations and even cooking classing during the day time. One gets to enjoy the Maldivian taste, so as Asian, Arabic, Western and much more. From colorful plating and BBQ on the beach guests get to experience a fresh and seasonal meal that is regularly changing. Palms restaurant also opens for breakfast and lunch buffet and even a vegan and gluten free menu is being worked on. I recommend giving the resort a note about special diets but as mentioned, there won´t be any problems to enjoy the culinary offer of the resort. Day 2 arrived and we as a group were extremely blessed, as we had pure sunshine and no rain. The excellent weather conditions were an ideal invitation to go for a snorkeling trip and explore more of the Maldivian sea life. Maldives is THE spot for anyone who has interest in diving or snorkeling. One gets to explore a “rainbow” under the water, with countless fishes and all kind of shapes and colors in corals and sea life. Again, the Noku resort really cares about the environment and tries to make a change. A partnership between a local island and education for the guests is one of the steps that the resort is trying to make a change with. Also, the Noku Maldives resort started to replant corals which got broken due to different causes. 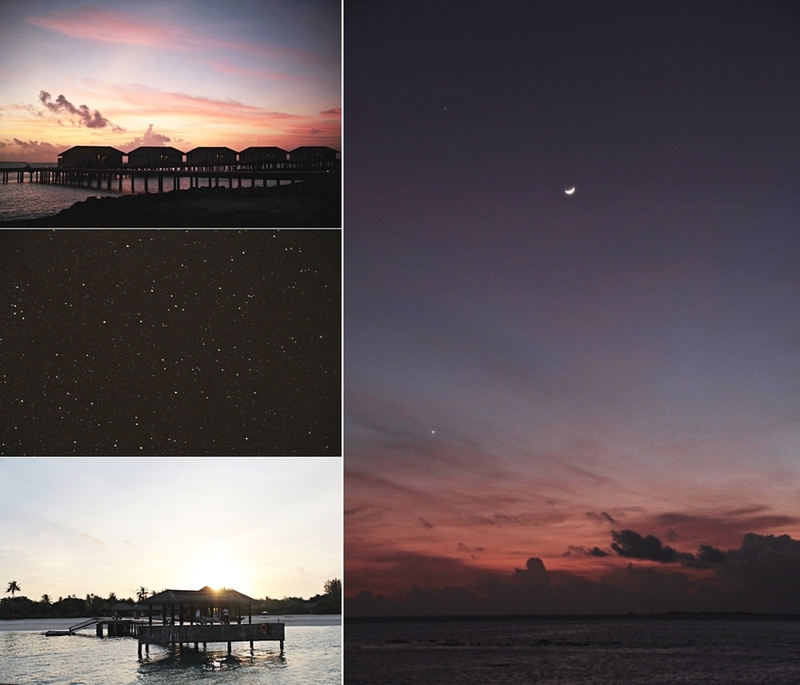 I visited 8 islands of the Maldives so far, which 5 of were resorts. The Noku island has definitly a good selling point with its spacious beach. A lot of resorts might have long beaches but not wide ones, where there is a wide beach at the Noku Maldives Resort. Spending a day by the beach or simply enjoying the sun at the terrace of the palms bar and enjoying the view of the wide sands is calming and a must do when traveling the resort. With the features of an island life one gets to enjoy the resort spa of Noku Maldives best with one of the many massages or other treatments. The spa has a garden scenery and one has the chance to watch the sunset while joining a yoga session or meditation. Noku Maldives features a spa, so as a gym, which is equipped with cardio devices, so as weights to stay fit during travel. I also recommend to not miss out on a run throughout the white sand beach scenery. On day 2 we had a short trip to a local island, where we joined a talk and visited some local spots. It was a nice exchange of diverse cultures and we even got to see a school and met students. Florian from the water sports center gave a talk about the corals which was highly informative and raised a lot of awareness for the importance of corals and how we as a society can help. Noku Maldives is located in the Noonu Atoll which features a colorful sea life. Guests at Noku are able to enjoy a fish feeding and also other activities, like bonfire or Maldivian night, including dances and stories about the Maldives. One of the main highlights for me has been a sunset cruise on the last day of the press trip. While the others used the cruise and got a lesson in fishing I was most impressed by the colorful sky and a pure red sunset, while, shortly after, I saw a sky full of stars and a crescent moon, just before we had a farewell dinner by the beach with live BBQ and a bonfire, where I shortly after laid down on one of the pillows and watched the stars. It was simply magical. The Noku Maldives resort offered me countless of unique experiences and I´m still in Maldives with my mind. The comfort of a huge bathtub with a view on the ocean and an hammock at the beach were most enjoyable besides the fresh island grown coconuts and mocktails from palms bar. Noku Maldives on Kuda Funafaru island has a total of 50 rooms and lays in a distance of 45-minute with the sea plane from Malé. With a Library next to lobby and shop named nice things guests have plenty of options for things to do on the island. It is a calming surrounding, with a lot of privacy and a dreamy holiday awaiting. Thank you Noku Maldives for this superb trip.